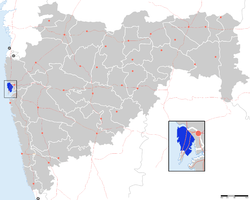 ^ "Mumbai Suburban District". Mumbaisuburban.gov.in. Retrieved 1 September 2010. ^ a b c d e f g "District Census 2011". Census2011.co.in. 2011. Retrieved 30 September 2011.